What is The Shared Responsibility Model? Most major public cloud providers including, Amazon Web Services (AWS), Google Cloud Platform (GCP) and Microsoft Azure follow a “Shared Responsibility Model” for security and compliance. This means that security and compliance are a shared responsibility between the cloud platform and the cloud customer. This applies for regulatory compliance such as HIPAA, PCI DSS, and FedRAMP, but also cyber security frameworks such as NIST and ISO. Cloud providers implement a certain set of security protections and safeguards, but customers are responsible for building secure solutions with these cloud services. The AWS Shared Responsibility Model defines security responsibilities for the cloud provider and AWS customers. This model applies to a majority of AWS security and compliance programs including HIPAA, and is defined and included inside AWS Business Associates Agreement (BAA). AWS cloud services have built with many security features built-in. Many AWS services can be setup and configured with backup, encryption, and access control settings. These protections are provided by AWS, but ultimately become the responsibility of the cloud customer. AWS cloud customers are responsible for the “Security IN the Cloud”. This means that cloud service settings, operating systems, and applications fall under the responsibility of the cloud customer. 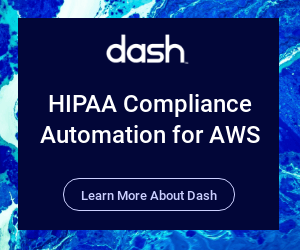 AWS customers must implement administrative safeguards and technical safeguards in order to maintain HIPAA compliance under the AWS Shared Responsibility Model. Policies should be customized to fit your organization’s technologies, and staff structure. Technical safeguards can be implemented using AWS services and configuration or other 3rd party tools and configuration. It is possible to use many AWS services to address these technical safeguards, but it is important to note that organizations must handle all configuration and management of these AWS services and controls.